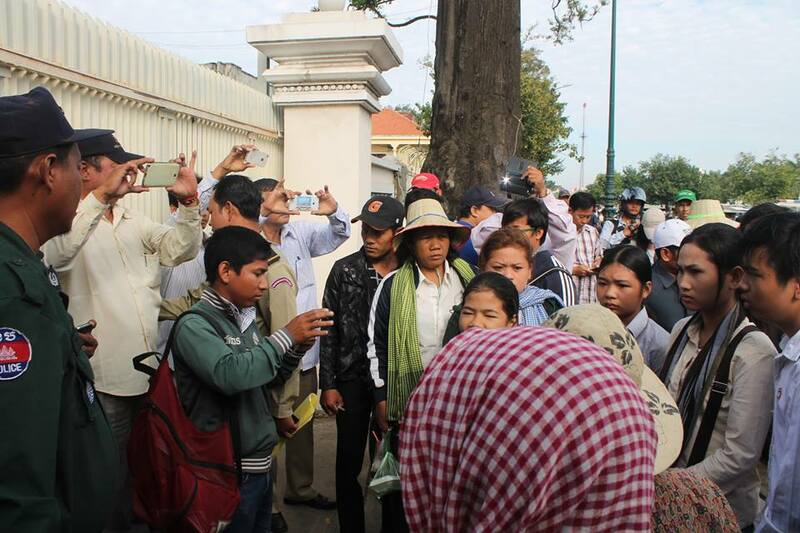 This week Phnom Penh saw two significant activities in support of the 18 land rights activists currently detained by the government. 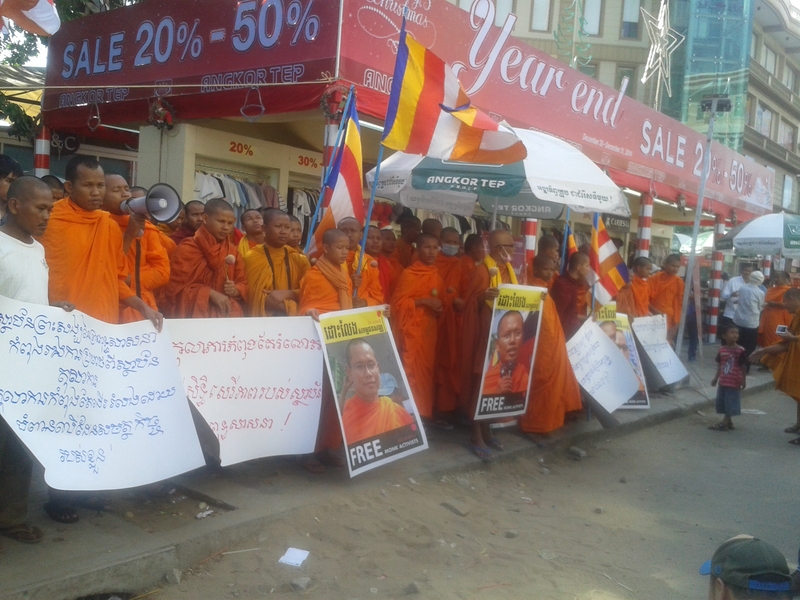 On Tuesday December 23, over 200 community members, Buddhist monks and CSOs rallied in front of Phnom Penh’s Municipal Court to support and demand for the release of Venerable Keo Somaly. 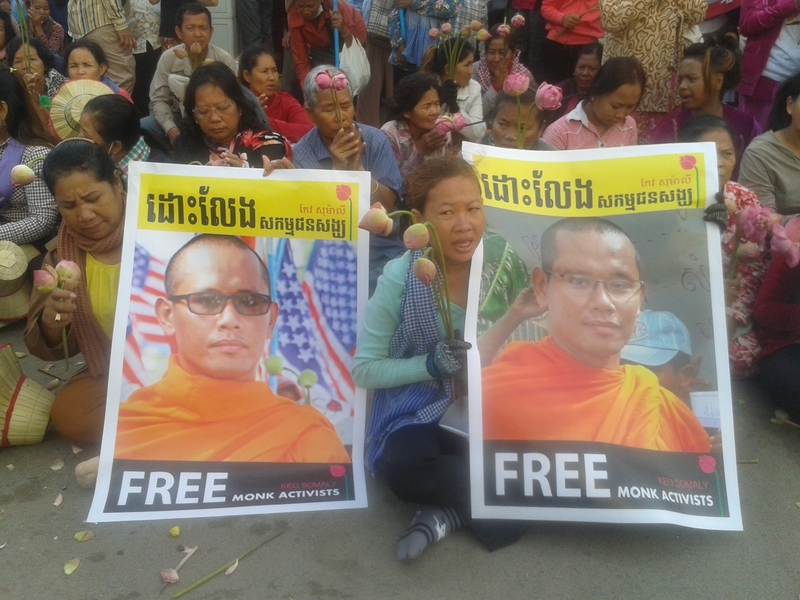 Supporters gathered as the monk was being questioned by prosecutors on allegations of physical violence against another monk, however, Venerable Keo Somaly deny these claims. He is member of the Independent Monk Network for Social Justice, which is a group that regularly leads anti-government protests over human rights abuses allegedly perpetrated by the government. The monk has been heavily involved in land rights activities and demonstrations. More recently, Venerable Keo Somaly was one of the monks who led peace marchers in the 2014 International Human Rights Day celebrations. 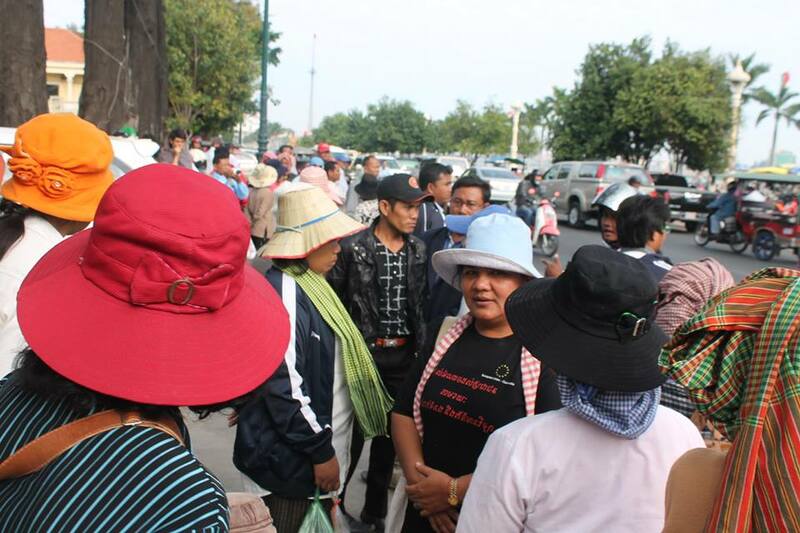 On the following day, Wednesday December 24, over 100 supporters and community members from Boeung Kak, Borey Keila and Lor Peang communities met outside Cambodia’s Appeal Court to deliver a petition demanding that the trial of the 18 land activists is expedited. The group successfully delivered the petition to Court of Appeal officials, who confirmed that, 10 female activists currently held in CC2 as well as Venerable Seng Hai detained in CC1, will be tried next month on January 22 at 2pm. While several dozen national military police officers and security guards were deployed to the site, the demonstrators maintained a peaceful gathering, preventing a clash with police officers and security guards. These activities demonstrate a continuous and growing resilience of the community in the defense of human rights in Cambodia. In particular, they display strong opposition to the crackdown of long-term land rights activists arguably under political pretenses from the current government.